Vulnerability Report monitors the level of economic and social hardship experienced by a growing number of New Zealanders to contribute to the development of compassionate policy responses. Each report provides the latest information from government agencies and from a range of community based organisations – both from our members and from others. 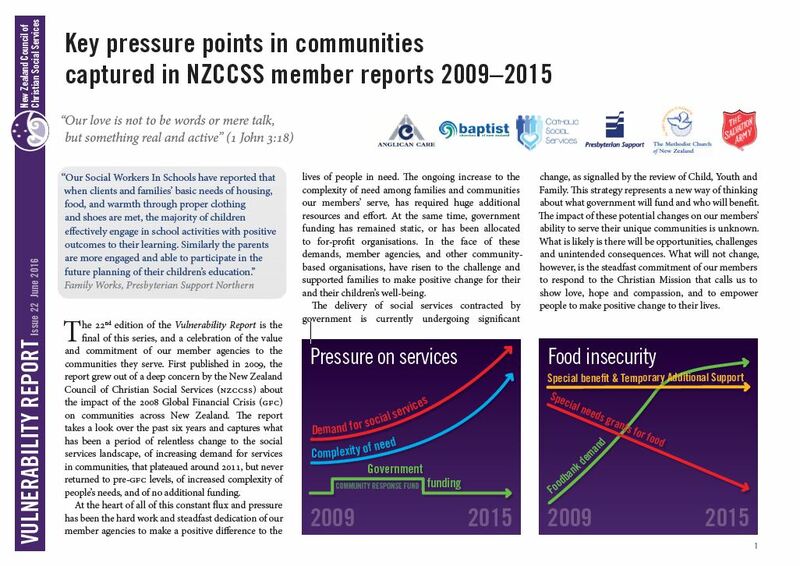 The Vulnerability Report series finished in June 2016 and NZCCSS is further developing the way we gather evidence of the experiences of our members and the families and communities they serve. This evidence will inform a new style of report to be launched in the near future.